How Long Does the Mold Removal Process Last? Mold removal is a process and one which cannot be rushed. Most commercial property owners are likely concerned with the business interruption related to the mold removal process. While the process generally takes 3-7 days, depending on the severity of the infestation, many owners wonder if there is a way to speed it up. However, this desire comes from both a want to return to business as usual and a lack of understanding for the removal and remediation process. There are at least four steps to remediation, and each one is as important as the last, meaning that there are no shortcuts and no way to rush. Containment is vital to remediation and getting your business back on track because it reduces the risk of spread. If this step is tossed aside or rushed through, then you run the risk of further mold growth in other areas of your property, consequently increasing the length of time needed to mitigate and restore the area. Similar to containment, controlled mold removal focuses on collecting all contaminated materials and sealing them in trash bags to prevent the spread of mold spores throughout your facility. Again, if this step is ignored and people just rip up carpets and drag them through the hallways, you run the risk of mold developing in other areas. The cleaning and disinfecting phase of the process is vital to eliminate the risk of re-infestation. If appropriate procedures aren’t followed, then you may see a resurgence in mold growth. Also, if black mold affected areas are not adequately cleaned, then health and safety concerns may remain. 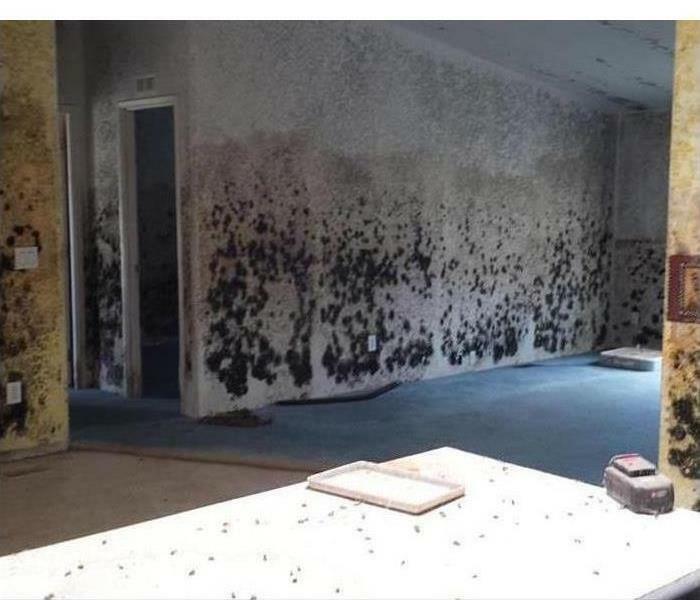 A mold remediation specialist in the Yava, AZ area takes only the time necessary to mitigate and restore your facility, thereby protecting you and your patrons. The last stage of the process, salvaging, is possibly the only phase where you can save time. However, keeping and cleaning items may save you money in the long run, but if you wish to discard everything, you may. Mold removal is a process and one which cannot be rushed. While you can attempt to rush through some things, you are only risking your business further damage. Choosing a certified company can help you feel more confident about the process. Technology has allowed Campo Verde, AZ business owners to store much of their data on the cloud or through other electronic means. However, some documents cannot be stored this way due to security issues or because they are too fragile to undergo scanning or photocopying processes. This can make them vulnerable to fire, flooding and mold, all of which could damage or destroy them. If you need document restoration services, there are a few reasons why you might consider calling in a professional, certified service. If flooding has affected your business and you find yourself with multiple documents that have taken on water damage, calling in a certified document drying company may help your cleanup budget. These services sometimes offer discounts on large jobs, so the more items you have treated, the more you might save. It is a good idea to ask about these rates before you sign an on-call contract with a restoration service. Having a document restoration company no further than a phone call away can garner a faster response when an unexpected flood or other disaster happens at your business. For example, if a major basement flood affects records you have stored there, you will not have to worry about how to treat them until you can find help. Since time is typically a major factor with preserving damaged documents, having a company you can contact right away could make a significant difference. Document restoration services like SERVPRO employ certified technicians who can offer you a variety of options when it comes to reversing damaged caused by flooding or mold. They will likely inform you about each option, what each entails, and then help you make the best choice for your particular issue. When flooding and other disasters affect your Campo Verde, AZ business, you may find yourself in need of document restoration services. Choosing a certified company can help you feel more confident about the process and how it can help to bring important documents back from the brink of destruction. Chemical drain cleaners come in gel, liquid, and powder. Most of them tell you to pour a certain amount down the drain and then add water. What they don’t tell you is how the chemicals work and what the result could be as the chemicals work in your clogged drain or plumbing lines. The chemical reactions from the cleaners can also result in a cleaning method that may be dangerous for your pipes. As the heat, gas, and chemicals expand, they can weaken, deteriorate, and corrode the lines. Also, you may wonder if fighting a clogged drain with chemicals is worth it, considering what it can do to the environment. If you have a septic tank, beware of using a chemical drain cleaner because most of the bacteria used to break down the contents of the septic tank may be destroyed by the harsh chemicals in the cleaners. Also, heat and gas caused by the chemicals can cause a dangerous mixture of fumes that can back up into your home. Take care of your plumbing pipes and septic tank. When you have a clog that won’t be moved by a plunger or snake, consider calling a water and plumbing technician. He or she can remove the clog without using any harmful chemicals. A clogged drain may be a nuisance, but your technician can usually deal with the sewage cleaning quickly and efficiently. Excess moisture is the main culprit in mold growth. When your home in Campo Verde, AZ floods, your primary concern is probably getting rid of all the excess water and drying it out. While it's certainly important to do this quickly, if black mold patches have formed, the remediation problem is not complete until the mold itself is removed. Here is a brief overview of the steps mold remediation specialists use to ensure that the entire restoration process is finished. Excess moisture is the main culprit in mold growth. No matter the size of the flood, the excess water will need to be removed to stop the growth of more mold. Once the moisture problem is alleviated, new spores don't have a hospitable place to land and grow. This doesn't resolve any fungus issues that already exist, though. All items affected by the flood must be removed and dried. This includes not only personal belongings but any walls, insulation, flooring or ceiling materials that are ruined. If they cannot be salvaged, they are thrown away. If they can be saved, they must be dried and cleaned thoroughly, ensuring that no black mold is present, before being returned to your home. Dry mold is still a problem, and it can continue to affect the air quality of your home if it is left untreated. After the affected portions of your home are dry, technicians thoroughly clean it, removing mold growth from the surfaces and out of any cracks or crevices into which it has managed to snake its way. Only after the fungus is gone is the cleanup process really complete. Removing excess moisture is important when it comes to getting your home back to normal, but it is only the first step in black mold remediation. Certified specialists are trained to complete the full cleanup process to ensure that once your mold issue is gone, it stays gone. During a storm, it is possible that many clients might experience damage to their Prescott, AZ homes. 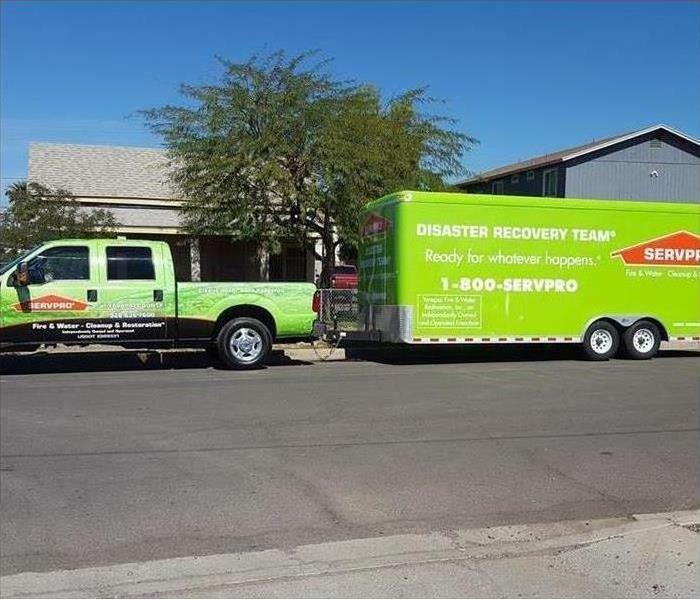 When you need storm restoration for several damaged sites, SERVPRO is a great option. Here are a few reasons why this company is a top choice for many insurance agencies. SERVPRO is open 24 hours a day, so they can provide service as soon as you need it. Once you have contacted them, you should hear back from them within an hour. Over the next several hours after you have provided all of the needed information, they will arrive on the site and inspect the damage. They will let you know the best way to proceed with restoration. Their fast storm response will also allow them to start mitigation sooner to prevent any further damage to the property. When you have many clients who need restoration services, it can be a lot to deal with. Working with a storm restoration company that gets the process going more quickly can be a big help. Because SERVPRO always provides a fast response, they can help speed up the claims and restoration process which can make things easier on you. With corporate help, local franchise locations can better serve your clients. Corporate locations can provide any needed equipment to complete the job. When you choose this company, you will be working with only highly-trained professionals with plenty of experience with storm restoration. You can trust them to do the work well as quickly as possible to get your clients’ homes safe and comfortable again. When you are dealing with flood damage, it is important to get the process started quickly to prevent additional damage and a lengtheir claims process. Choosing a company that can provide immediate assistance and high-quality work can make everything go more smoothly. Mold damage is a lot more common than you might think. It is important to understand that with the right remediation and mitigation, a professional restoration company can handle the issue for you. If you are beginning to experience problems with your home or business concerning mold growth and mold growth behind walls, it's imperative that you contact a local restoration company to figure things out for you. Doing the work on your own can be too much to handle, especially when it concerns dry rot, mold growth, mildew, fungus and black mold. Plus, you'll be dealing with that horrible smelly odor that requires proper deodorization. The first thing you'll need to do is to find the black mold, fungus or mildew in the home. Mold growth behind walls can be especially problematic, so it is important to hire a local restoration company to help out with the mold removal for you. Commercial mold damage can also be smelled, as you'll notice a smelly odor in the areas where the mold is present. 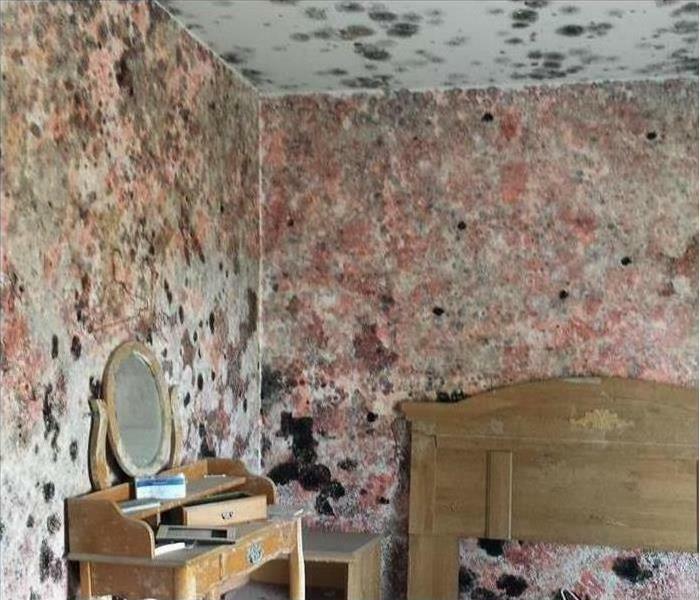 Mold growth can be detected with special tools, so hiring a professional mitigation and remediation company might be beneficial. The best way to handle mildew and fungus in the home is to hire a mitigation expert. The remediation pros will come with all of their own mold removal tools to get the job done. They are experiencing handling mold damage and know exactly what to do. Plus, they will check for mold growth behind walls to get rid of it for you and get your home back to the way it was before. If you have recently experienced a flood of some sort, you could very well have mold in the home and need expert remediation and mitigation to make things right. Dry rot and black mold can be highly problematic if left to fester, so be sure to contact a local commercial mold damage agency. Visit http://www.SERVPROyavapaicounty.com for more information on mold. The best way for you to find a local commercial mold damage agency is to look online or ask other people. Mold damage and mold removal are no laughing matter, especially if you're dealing with dry rot that is a result of the mold growth. Mold growth behind walls can also be an issue because it is difficult to see on your own without the help of a professional company. Fungus and mildew can get much worse if it is left without being properly cleaned, so be sure to find and contact a local commercial mold damage company now. If you have mold in the home, you might be wondering what you should expect with deodorization of that smelly odor. Mold in the home is cleaned and gone through deodorization by the experts when it is most convenient for you. The company may need to come back multiple times to get rid of the smelly odor and to rid the home of all mold spores. They will use a series of devices and tools to ensure that the cleaning has been done properly. 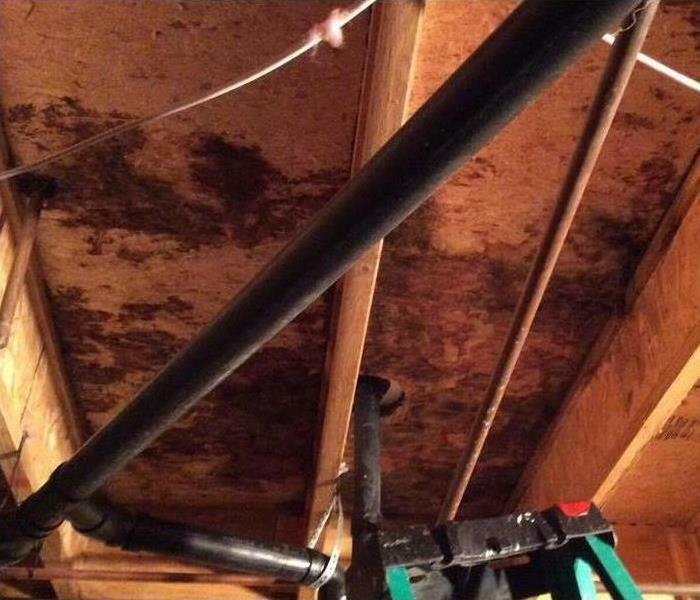 Dry rot can also go through deodorization, so the company can do this for you. Once you have found that you have a mold problem, it's time to consider the fact that a professional company can be there to make things right for you. They will charge a reasonable fee for their services, based on a sliding scale of their clients' needs. You will also enjoy the fact that they take care of all the work for you so that you are not left trying to figure it all out on your own. There are lots of reasons to contact this company, but the main reason is because it helps you get your home back. Property owners should schedule a professional roof inspection at least once a year. Commercial roofing can last for decades with regular maintenance. 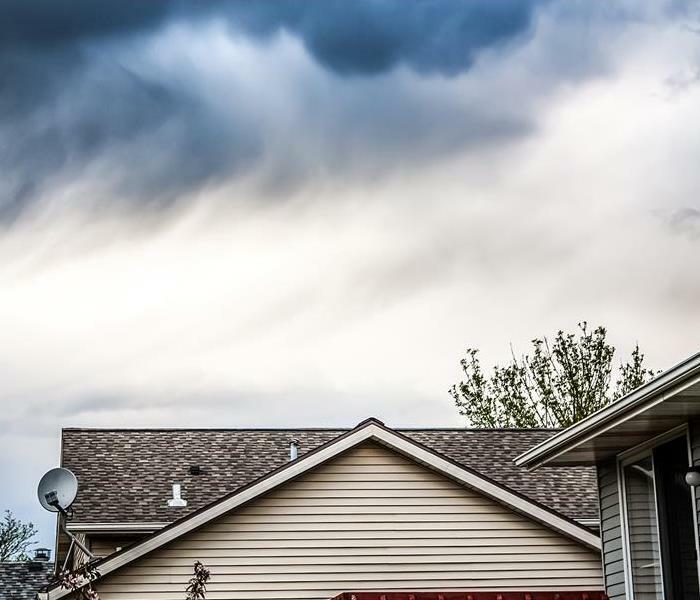 In addition to the following preventative measures, building owners or managers should also fix any roof damage caused by wind or storms as soon as possible. Clean the entire system at least twice a year. Roof drains may need to be cleared every three months during the spring and summer and every month during fall and winter. 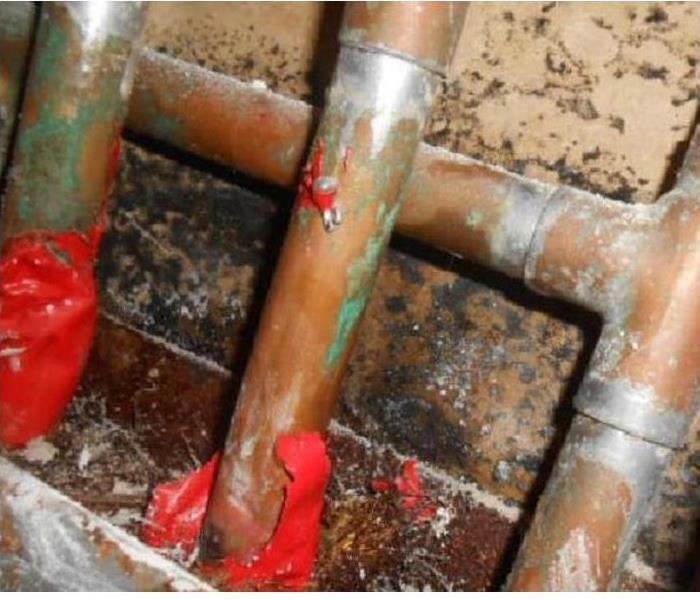 Any of these issues may result in a leak. Fixing roof damage is an important part of overall maintenance. Minor wind damage may loosen roofing materials, but overhanging tree limbs pose a major risk. Owners or managers of buildings surrounded by tall trees should schedule regular trimmings. A fallen limb can cause extensive roof and structural damage. Roofing specialists can apply a waterproof coating to almost any type of rooftop. Elastomeric coatings protect the surface from environmental damage. A single treatment can last 10 to 20 years, depending on weather conditions and roof maintenance. All of these methods can be useful for maintaining the rooftop of a commercial structure in Prescott Valley, AZ. Quickly fixing any roof damage that occurs may forestall the need for a roof rebuild. If a leak results in damage, contact a mitigation and restoration service. Water and fire damage combine when a fire hose is used to extinguish a blaze. These hoses can introduce hundreds of gallons of water into a home and make cleaning up and restoring damage more difficult. Homeowners dealing with both fire and water damage should hire restoration professionals. Here are three ways that experts handle compound damage. Extracting standing water is a top priority. The water used to suppress a fire immediately degrades from Category One to contaminated Category Three water as it makes contact with ash, soot, and smoke. The chemicals released during combustion make this water pose a safety risk. Damage mitigation experts may use a pump to quickly get rid of water. The next phase of the clean-up process is to address the worst of the fire damage. Remove built-up soot and tear out porous materials exposed to open flame, excessive heat and dirty water. In general, carpet, drywall and insulation are ruined by this combination of factors and may pose a heightened risk of mold if left intact. Restoration should not proceed until the area affected by fire and water is dry. Once an area damaged by fire and water no longer contains standing water or excessive amounts of soot, it is necessary to promote drying. Restoration professionals may recommend additional ventilation or a dehumidifier to draw out residual moisture. Rebuilding can only take place after the area has become completely dry. 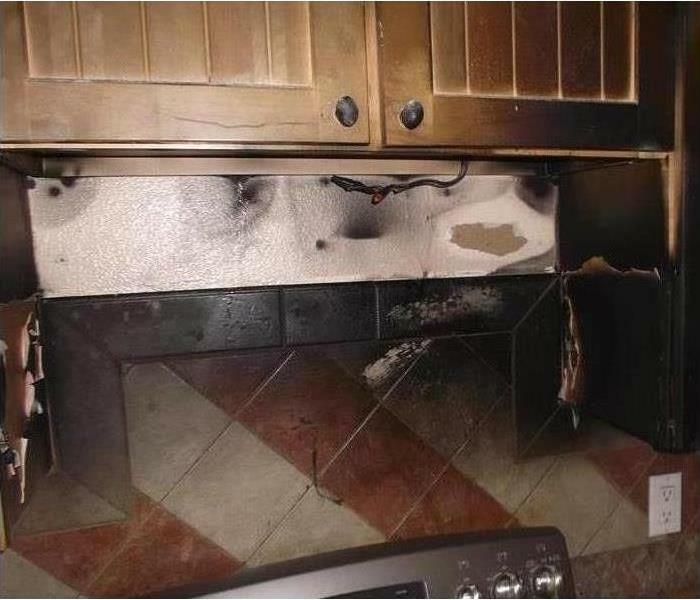 These ways of dealing with combined water and fire damage can help homeowners anticipate the equipment and duration of time necessary to complete the cleanup process. A company that specializes in damage restoration can ensure that each of these methods is done as quickly and thoroughly as possible to reduce the risk of further damage to a home in Bagdad, AZ . Water damage in your home in Prescott Valley, AZ can be problematic enough on its own. Unfortunately, areas saturated with water are likely to experience mold growth. However, there are various ways you can keep mold under control in your home. As soon as you realize that water is leaking or flooding your home, locating the source(s) of the water can help you know what to do next. If you find that an appliance is leaking, shutting down or turning off that appliance may stop the water from flowing. However, in some instances, you may need to shut off the water in your home. By stopping the flow of water, you will keep the damage contained and lessen the areas where mold is likely to grow. Once water is no longer flowing into your home, it’s wise to make sure your home is as dry as possible. Using fans and opening windows can help your home dry out more quickly. Since mold grows in warm, damp environments, keeping your home dry will prevent mold from growing. Additionally, quickly taking measurements to keep your home dry can also help to prevent further water damage from occurring. Sometimes, you may not notice that mold has grown in your home until it has spread and caused damage. However, it can be helpful to frequently check the areas in your home where mold is most likely to grow. If you do notice any leaks in your home, it’s generally best to fix the problem as quickly as possible in order to prevent mold from growing. With knowledge of how to manage the issue of mold growth in your home, you can also take steps toward mold prevention. If water damage in your home has caused extensive amounts of mold to grow, however, you may want to contact mold remediation experts. 4/11/2019 - How Long Does the Mold Removal Process Last?